Have a great stay in your own nice private suite in the garden floor of our luxury estate! Your suite features en suite bathroom with fantastic tub, AC, great breakfast, WiFi and much more! Enjoy an amazing 20m pool, small organic SPA in very quiet&amp;green surroundings! 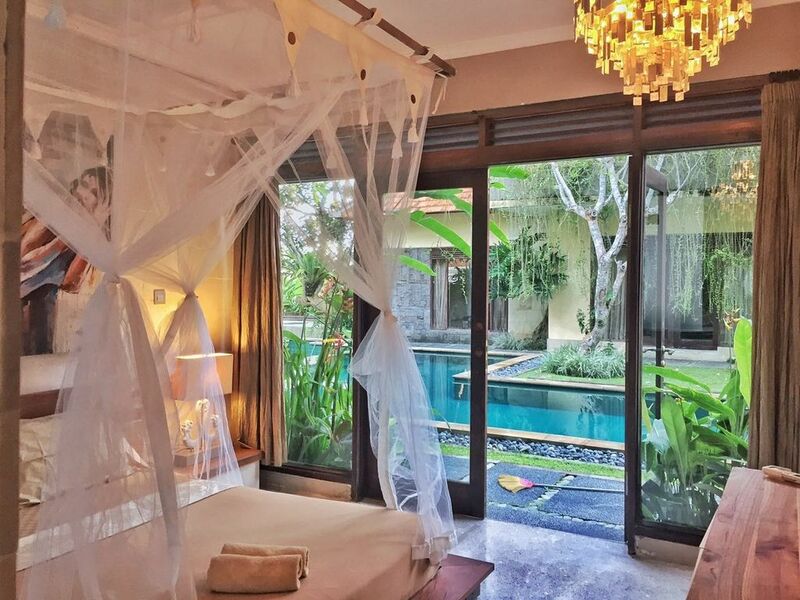 Your hideaway is located in a walking distance to the historic Pejeng and Goa Gajah (Elephant Cave). You can reach the Royal Palace and the city center of Ubud in 5 minutes (2.5 km) with our free city driver service! Start your day with a fresh and healthy breakfast, served by the friendly staff. It can be arranged for 3 usd per person. Have a great time walking around and enjoying rice paddies, a nearby Balinese temple or the jungle. - mineral water and herbal teas all day long(at the restaurant area)!.. Eden Estate; not for us. The VRBO listing does not mention the name of this hotel anywhere. A google search of this property triggers some extremely negative reviews, and some reviewers speculate it's a deliberate attempt by management to avoid exposure to those reviews. However, some guests actually liked this property - hence the title of this review. when the property was new (decades ago?). However, there was internet reception in this tiny room. The listing mentions the availabilty of free mineral water and tea all day. None of the staff at the restaurant/pavillion was aware of this and the large jug of water on site had a note attached to it stating it was not for guests ("public") but a private party. No tea either. The listing suggests breakfast is included ("tub, AC, great breakfast, wi-fi."). When I queried the desk clerk about this she told me it was "a mistake." No big deal, the cost was mininal, but blaming Homeaway was lame. The property is in the middle of nowhere; there are no restaurants nearby and one either eats at the little make-shift restaurant on site or takes the (complimentary) shuttle into town (not 5 minutes but almost 20 minutes from the hotel).